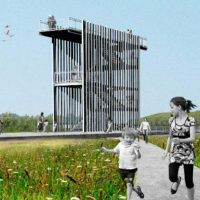 Phase one of North Park will be the first section inside the Fresh Kills Landfill boundaries to open to the public, connecting visitors to spectacular views of the site’s hills and waterways. NYC Parks and NYC Sanitation broke ground on the project in July 2017. This past year marked the fifteen-year anniversary of the Fresh Kills Landfill closure. In March of 2001, the final barge of household garbage arrived at the landfill. 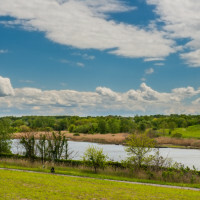 Later that year, the City of New York announced an international design competition for the development of a plan for Freshkills Park. Exciting progress is being made on the first interior park project at Freshkills Park, known as North Park Phase 1. 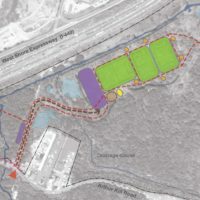 This landmark 20-acre project will connect visitors to views of the park’s hills and waterways. 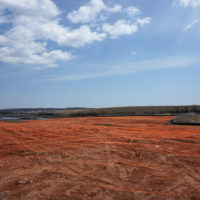 Freshkills Park has been opening gradually since 2012.